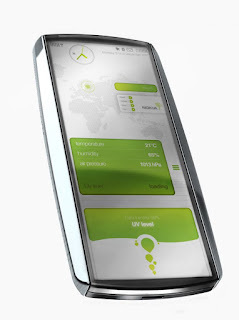 Nokia Eco-Sensor Smartphone Concept | TonerGreen - Eco-Friendly Toners from the U.S.
Last Monday, I featured an article regarding an eco-friendly phone from ADzero, the Bamboo Smartphone. I'm sure that I'm not the only one amazed with it, but just when I have found this cool eco-friendly gadget, another one made it in my newsfeed this day. Although still a concept, this one came from one of the biggest cellphone manufacturers, Nokia. The Eco-Sensor Smartphone basically is a research project initiated "for a futuristic mobile phone concept with an aim to initiate public discussion around environmentally sustainable", as described in Nokia's Official Press Release. 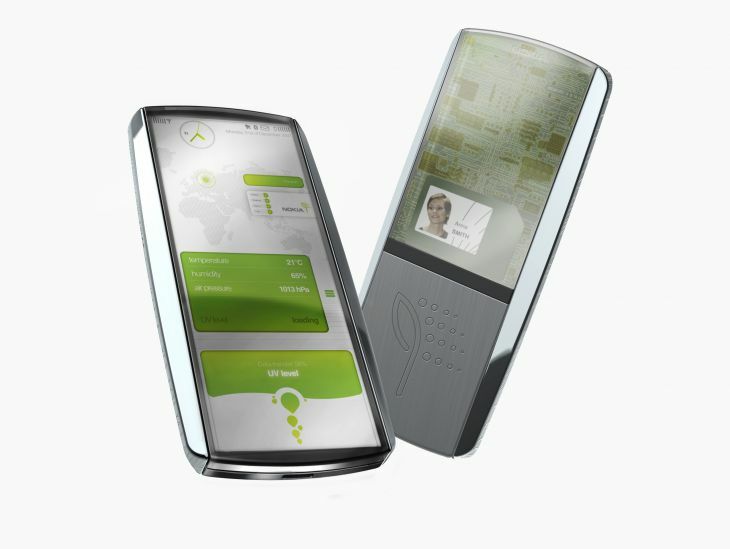 The concept itself was first introduced to the public in Amsterdam last December 4 and 5 in the year 2007 during the Nokia World Event. "Our first objective was to get discussion going around the various aspects and numerous components one needs to consider when designing an environmentally sound product," said Petra Söderling, Head of Marketing for NRC. "Just looking at recycled materials or a novel energy source alone is not enough. This concept addresses power consumption, alternative energy sources, printed electronics, novel screen technologies, ecological sensors coupled with internet service scenarios - all in one concept." However, although embracing the green concept, Nokia Eco-Sensor Smartphone received varied feedback from the industry. SmartPlanet.com quoted, "Despite the Minority Report-worthy design, the idea behind the Eco Sensor Concept is simple — it’s just a phone made from eco materials combined with sensors to check out local pollution levels." "This concept isn't so much about saving the environment as it is about sensing what's going on around you. It consists of two parts: a touch-screen phone and a wearable unit that can sense and analyze your surroundings," was a statement in CNet.com's review of the Nokia Eco-Sensor Smartphone. Whatever reviews there are and opinions from the market, I'm still looking forward for this concept to be available in the market. Why not? With all the smartphones in the market, I think it's time cellphone manufacturers should consider producing eco-friendly phones as well. It's time they raise awareness to the buyers that though we should consider our natural environment in the development of our technology. TonerGreen is one of the eco-conscious manufacturers that offers US-made remanufactured toner cartridges and remanufactured inkjet cartridges that contribute to energy conservation, sustainability, and environmental responsibility.